The northern British Columbian town of Kitimat has been in celebration mode all week long following last Monday’s official announcement that LNG Canada is moving forward. 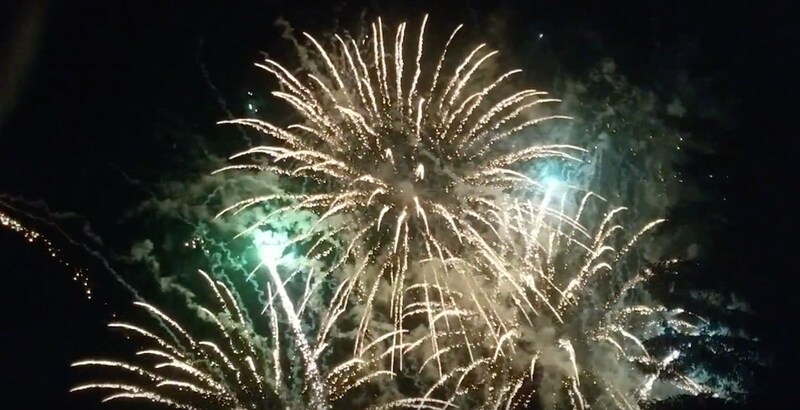 And the celebrations were taken up a few notches over the Thanksgiving long weekend on Saturday when the town hosted a large party at Hirsch Creek Golf and Winter Club, with concerts, a beer garden, and even a major fireworks display marking the occasion. Last week, the private international consortium made a final decision to approve the project in Kitimat. Oil giant Shell is leading the project, and its shareholders include Petronas, PetroChina, Mitsubishi Corporation, and Kogas. This project involves building a $40-billion liquefied natural gas processing facility and export terminal, which will receive natural gas from a new 670-km-long pipeline from the Dawson Creek area of northeastern BC. The LNG product will be shipped to Asian markets, specifically to China, which is currently in the decades-long process of transitioning from dirty coal to cleaner natural gas energy. LNG Canada is both the largest private investment and largest foreign direct investment in Canadian history. While the nature of the project has been controversial with environmental groups, the project has received its required provincial and federal approvals. Construction is anticipated to begin in 2019 for an opening in 2025. It will create $23 billion in revenue for the provincial government over 40 years, which will go towards funding healthcare, education, and other social programs. Up to 10,000 jobs will be generated during construction, and nearly 1,000 permanent jobs will created in Kitimat to operate and maintain the new facilities. According to Statistics Canada, Kitimat currently has approximately 6,300 residents. LNG Canada’s facilities alone are expected to create 1,000 permanent jobs in Kitimat, increasing the town’s number of jobs by about 25%.